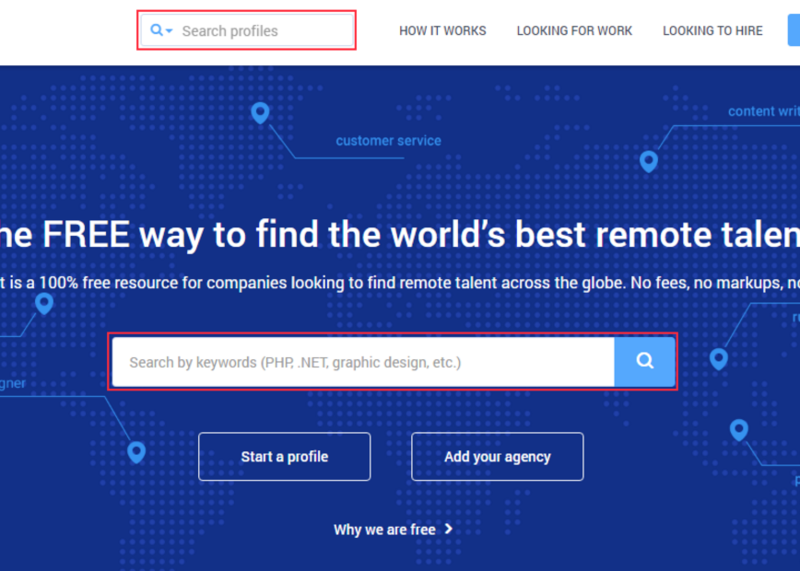 To invite a freelancer or an agency to a job, you need to search/view their profile. On their profile, you’ll see the “Invite to job” button. After you have clicked on the “Invite to job” button, a “Send Message” window should appear. 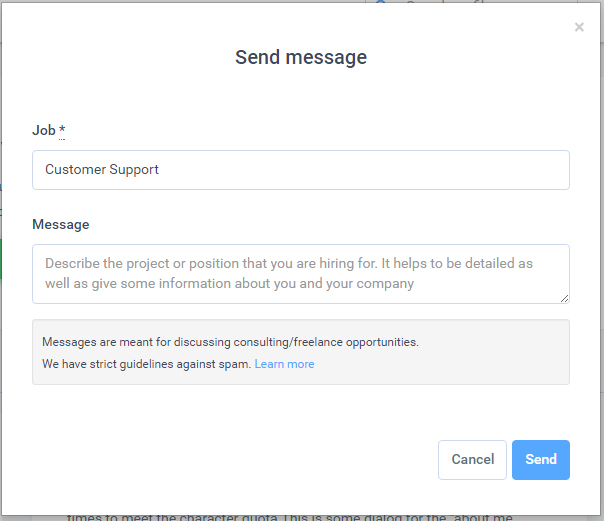 You’ll be able to select the specific job you’re inviting the freelancer to, and provide and introductory message. The ‘Invite to job’ button really just sends them an email that lets the invitee know you’re interested in working with them – it’s not a contract or anything that guarantees you have to hire them – so if there’s information you need or questions you have before deciding if you want to hire them or not, you would simply want to make sure to include those questions in the message when you reach out to them.